for $195,000 with 4 bedrooms and 1 full bath. This 2,241 square foot home was built in 1950 on a lot size of 0.20 Acre(s). You'll love this charming cape cod home with plenty of character. This property offers over 2200sq ft of living space including 4 bedrooms and finished basement with tiled laundry room. Plenty of storage space in attic available. Enjoy the shaded, fenced back yard or take a walk to a nearby park. Located conveniently near Bardstown Road in the Chester Villa subdivision, just minutes from I-264, Costco, and more! 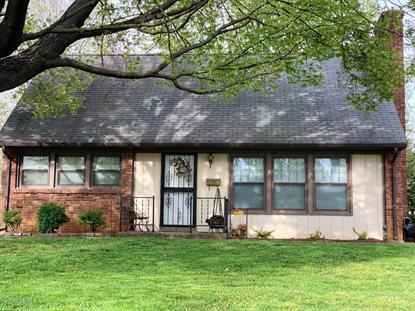 This second owner home has many updates including professionally finished hardwood floors, new in Feb 2019 Stain-master carpet on the 2nd level, newer HVAC, and renovated bathroom with transferable warranty for tub refinishing. This home is just waiting for your personal touches.